Are you looking for a management company that gets the job done the right way the first time? Call Southwestern Management And Realty Team and ask about how you can save $300 right away! 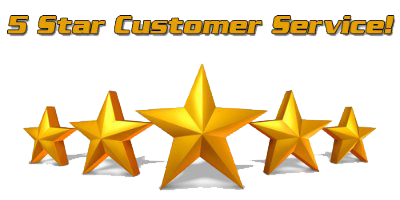 Check out all the real 5 star reviews and call (702) 750-9725 or email us here. Tap Here to CALL for current Special Offers! Let us find your dream home and fill out our easy to use online application. Pay rent online, look up utility companies, download documents. Request maintenance or contact us. The Owners of Southwestern Management And Realty Team are long time Las Vegans. After moving to Las Vegas in 1998 from Dallas, Texas, they owned and operated real estate businesses in Las Vegas and Dallas. In 2008 Southwestern Management And Realty Team (SMART) opened its doors and now strictly provides residential Las Vegas property management services. Our well qualified professional management team provides excellent customer service to both Owners and Tenants. SMART maintains between 97-99% occupancy rates even in the toughest of markets. SMART is not be the “cheapest” or the most expensive provider in town, but as the saying goes -- You get what you pay for. SMART is the clear choice for quality service at a reasonable price. Over the years, SMART has gained community respect and proven itself as one of the premier property management companies in Las Vegas. SMART is currently managing 300+ properties in the Las Vegas valley and we are growing each week. What has made SMART a successful residential property management company? It's our honesty, no hidden fess and open lines of communication responding on a daily basis to all emails and phone calls. Our customer service is exemplary!